NatWest t20 Blast Dur vs Yorks 2nd Semi-Final 20th August 2016 Live Streaming Ball By Ball Highlights :- The second The second semifinal of Natwest t20 Blast is between two strong contenders Durham and Yorkshire. These both teams will pad up against each other on August 20 at Edgbaston, Birmingham. This team is amongst those team, which rely heavily on the local players and still managed to reach the semi-final knockout stages. The captain of Durham team is Michael Richarson and he needs to fire with the bat if he wants his team to reach final. Meanwhile, this lack does not have big reputed t20 players, but the local guys like Mark Stoneman, Keaton Jennings, Michael Richardson and Jack Burnham are leading the run chart for this team. Paul Collingwood is the lone player in the whole Durham squad, who has represented England in International stages and even though, it was under the captaincy of Collingwood when England won the 2010 edition of t20 world cup champion. This team reached the semifinals stages after defeating Gloucestershire team in the quarterfinal match. And that win must have give Durham team a belief that they have the potential to be the champion of this tournament. Paul Collingwood(w), Scott Borthwick, Usman Arshad, Mark Wood, Chris Rushworth, Graham Onions, Brydon Carse, Phil Mustard, James Weighell, Barry McCarthy, Graham Clark, Calum MacLeod, Paul Coughlin, Jamie Harrison, Mark Stoneman, Keaton Jennings, Jack Burnham, Gordon Muchall, Michael Richardson(c), Ryan Pringle. Yorkshire was considered to be the finalist, right from the beginning of this tournament. And the reason for it is the presence of the genuine match winner in the squad of this team. This batting line up of this Yorkshire team is decorated with the likes of Adam Lyth, David Willey, Will does, Jack Leaning. Noy only the batting line, but even the bowling line up contains a number of international stars. Adil Rashid, Tim Bresnan, David Willey and Andy Hodd has the responsibility to take care of the bowling attack of this team. 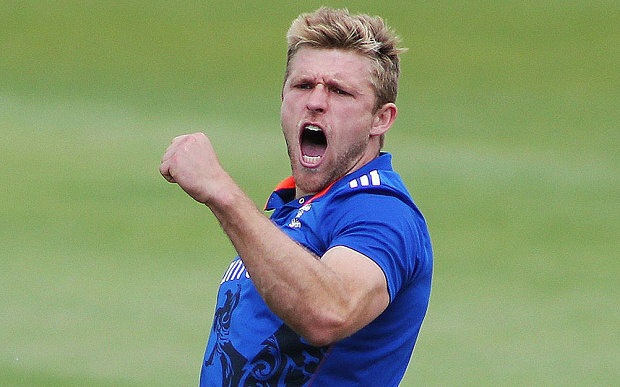 Meanwhile, the x-factor for this team is an all-rounder, David Willey. This lad has really impressed us with both bat and ball throughout the tournament. And he holds the key in the next two matches for its’s team. This team has the winning momentum as they reached semifinal after defeating the Glamorgan team in the quarterfinal match. And with no surprise, David Willey was adjudged man of the match for his 79 and 1 wicket. Yorkshire just needs to win their consistent cricket to qualify for the final. Adam Lyth, David Willey, Alex Lees(c), Jack Leaning, Will Rhodes, Tim Bresnan, Liam Plunkett, Matthew Waite, Adil Rashid, Andy Hodd(w), Azeem Rafiq, Andrew Gale, Karl Carver, Matthew Fisher, Steven Patterson, James Wainman.